The “anthropocene” is a proposed new geological era currently under consideration by the International Commission on Stratigraphy. It makes a bold claim that humans have become a geologically significant force in earth’s history. Objects are also important material sources of these historical changes. This collaborative exhibition centers on the material history of the anthropocene using objects from the collection of The Durham Museum. 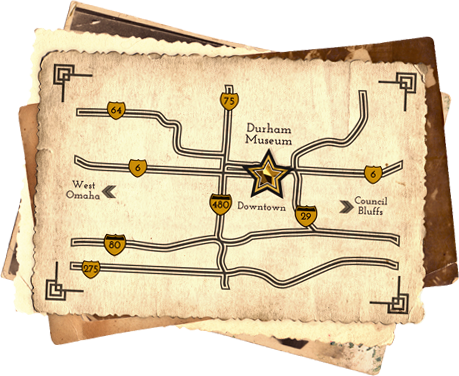 The Durham Museum partnered with Creighton University’s History Department to produce an immersive, interdisciplinary experience for students in the fall semester of 2017. 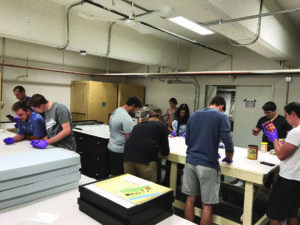 In conjunction with the curriculum of Dr. Adam Sundberg, Assistant Professor of History and Digital Humanities, museum staff instructed and assisted Creighton students with independent research related to The Durham Museum’s collection, distillation of that research into a lecture presented near the end of the fall semester and an exhibition. This exhibit is supported by Humanities Nebraska, the Nebraska Cultural Endowment, and the Creighton University Center for Undergraduate Research and Scholarship.